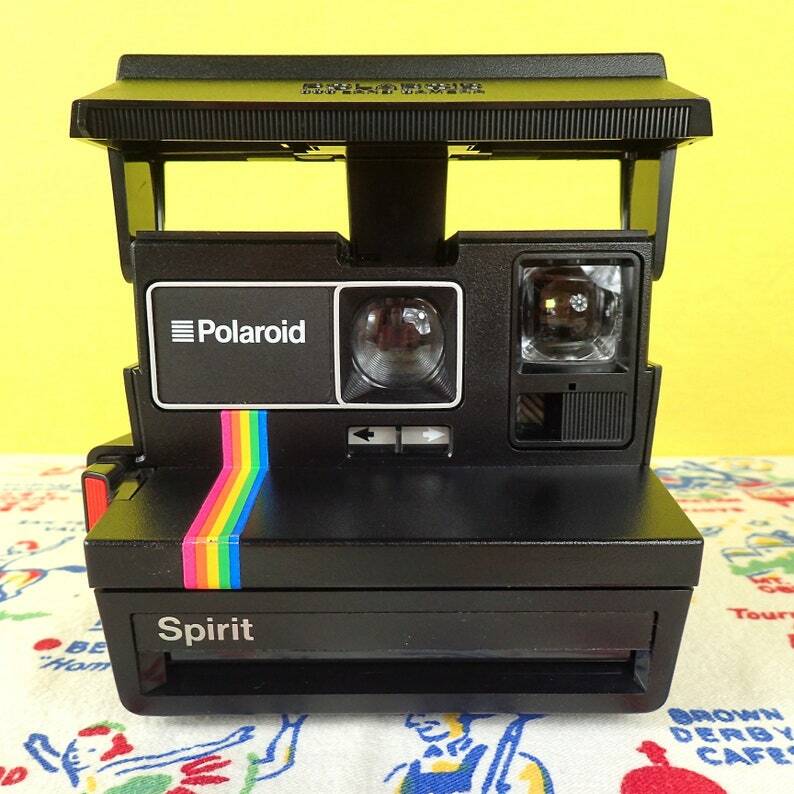 According to the Land List site, this is of the first generation of the 600 variety of Polaroid instant integral cameras and came out in 1983. This model is black and does not have a built in flash. The lens cover flap swings up to allow the attachment of a flash bar, sold separately online (this will not take the usual SX-70 bar, rather the Flash 600, and can still be found online). You must add a flash in order to take pictures inside. Without a flash, your photo will not come out. I have tested and cleaned this camera-it has minimal wear; please see the photos. When buying Polaroid film, be sure to buy the Polaroid 600 film and see my FAQs. You can add a pack of fresh Polaroid film to this order for $18. Buy some extra packs or new tongue installation from my shop, too! Please be sure to look at all the photos and contact me if you have any questions. I do offer combined shipping when possible to save on costs. All sales final with these vintage and used items, but please contact me if you have any questions or concerns after the sale. Thank you!